A century ago, Teddy Roosevelt said America's international role should be to "talk softly and carry a big stick." In a dangerous world that is still necessary at times. But in the aftermath of catastrophic human disaster in South Asia, our role should be to listen carefully and show a big heart. The world needs a reminder of American generosity, compassion and know-how, and here is our opportunity to show them our nation at its best. This week, I will be joining a bipartisan delegation of senators, led by Majority Leader Bill Frist, to various places in the Middle East and South Asia. This trip was planned before the events of Dec. 26 and following, but it could not be more important now. As we travel, it will be my counsel to our delegation and American policymakers we meet along the way that we follow several time-honored principles of how best to deal with this sort of event. First, we should listen patiently and learn carefully from the peoples of affected nations before we open our mouths to give direction. Time is of the essence, but we can't address a problem we don't understand. Earthquakes and tsunamis are culturally neutral, but the response to human tragedy and need is deeply influenced by culture. Just because FEMA-type approaches work in South Florida and the Red River Valley doesn't mean they will in Sri Lanka. Second, some forms of help are more help than others. The main issue is not how many dollars or tons of food we send, but how well we coordinate and distribute the resources we provide. We learned a bitter lesson in Somalia that inappropriate actions can create damaging repercussions that can last a generation. The international community is made up of nations, NGOs, private individuals and international organizations, and we need to sort out what each player can do best. Third, we need to carefully monitor the transition from relief to development assistance. We've learned that relief that goes on too long can hinder progress back to self-sufficiency. We need to save as many lives as we can and then participate in allowing the nations of the region to follow their own destiny. Fourth, we need to take the long view. We should resist the pressure to measure our actions according to the time frame dictated by the news cycle. The only evaluation that really matters will be the one the world makes 10 years from now looking back. One of the philosophers said the measure of a good life was "a long obedience in the same direction." That's what we need to commit to. Fifth, we need to understand the privilege of helping with this massive problem. We can develop relationships in this crucial region that can have ongoing benefit in our international relations for decades. We can deepen our understanding of cultures and provide opportunities for them to understand us. I am particularly interested in areas of assistance that have a Minnesota connection. Minnesotans have already been very generous. Churches, community organizations and private companies have rolled up their sleeves to take action. Gary Dahl of the American Refugee Committee, a Minnesota-based NGO, is focusing on the destruction of fishing fleets in the region. Perhaps there is something special the Land of 10,000 Lakes can do about getting these folks back on the water. Minnesota has always had a strong connection to the Peace Corps. As chairman of the Senate subcommittee with oversight of the Peace Corps, it is clear to me that the humanitarian response invoked by tragic events like this is the same spirit that guides the Peace Corps every day. 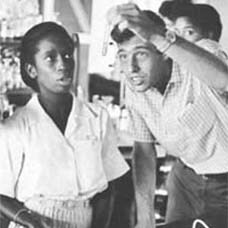 Even as that worthy agency mobilizes a "Crisis Corps" of former Peace Corps volunteers to assist with tsunami relief, I believe an opportunity exists to rededicate ourselves to the mission of the Peace Corps and its expansion to touch more and more lives. After 9/11, we spent a lot of time wrestling with the question "Why do they hate us?" These events provide an excellent opportunity to engage with the people of South Asia in a constructive way that creates more positive emotions by showing them what our nation is really all about. Finally, an encounter with tragedy tends to make us either better or bitter. I'm heartened with the outpouring of concern, generosity and prayer. I urge that Minnesotans continue to pray for the victims of this tragedy, their families and all those touched by this almost incomprehensible and overwhelming disaster. John Kennedy reminded us that "here on earth, God's work must truly be our own" and that it is our responsibility to work for what we pray for. I look forward to sharing what I have learned with my colleagues and especially with the people of Minnesota, who, as always, are looking for ways to be a part of the solution. 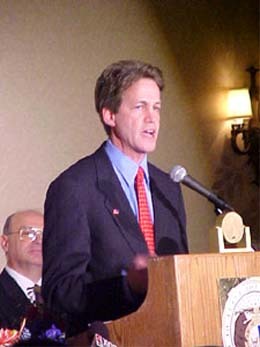 Norm Coleman, R-Minn., is a member of the U.S. Senate. There will be articles in your star tribune about the 2,000 plus victims of violence in service to Peace Corps who are not getting health care, being discriminated against by the agency and we will be bring to the attention of Minnesota people that your committee will kill any hope of these people and families to get remedy from the government and agency they served. We will highlight further in other media venues you are not doing anything for people who served and had safety issues with the agency. You did not lsiten to us in the hearing and Mr. Lugar has been notified of the deliberate act to evade these people who served thier country. It is time we are heard. (The folks who served and had safety issues) You will see, we will be heard by the American public and you won't be able to hide behind having your friends from the NPCA and other like minded public officials to deny we have rights as volunteers and former volunteers. The Dayton Daily News reporters won awards around the country because public officials are covering up this issue to the American public. The Hearings were a friendly chat. You passed and budget and invited people who have not been through safety issues with Peace Corps to your hearings. You dropped the half way provision of the ombudsman and we are watching your indescretions. The Minnesota people need to know that 2,000 plus victims of violence are not getting health care through your friend Elaine Chao's Department of Labor and families of volunteers are bearing the burder of their health and having financial strain to the point of paying for their service related injuries and health care. Minnesota ought to also know this segment is being discriminated in job development on a class action level because of their safety and health issues they sustained with Peace Corps. This is all I will write. You will know we are out there when the News paper articles continue to come from these former volunteers and their families. Long live Paul Wellstone and the hell with Callous government from people like you.